Out candidate Chris Pappas has won the Democratic nomination for U.S. House from New Hampshire’s First District. Pappas had more than 56 percent of the vote with 23 percent of precincts reporting when the Associated Press called the Democratic primary race for him Tuesday evening, Roll Call reports. Coming in second, with 26 percent when the race was called, was Maura Sullivan, a former Marine who served in the Obama administration — and with whom Pappas’s supporters sparred in the last few days before the primary. One of her campaign mailers claimed Pappas had “no backbone,” which some saw as implying that he was weak because he’s gay. 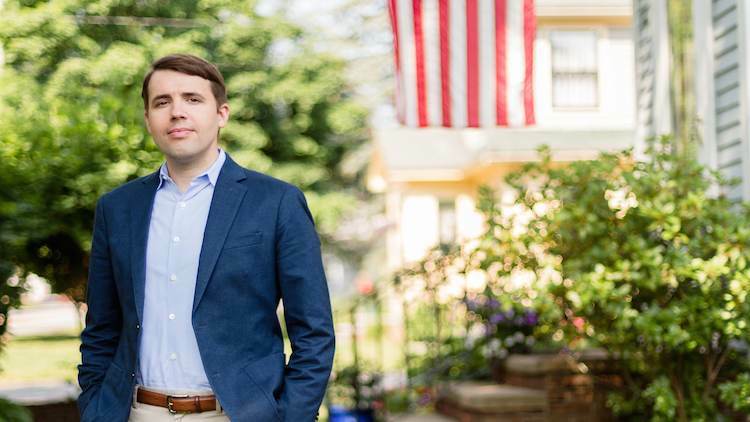 If elected in November, Pappas would be the first openly gay congressional representative from New Hampshire. He’s running for the seat being vacated by fellow Democrat Carol Shea-Porter. The Republican nominee is yet unknown; as of 9 p.m. local time, Eddie Edwards and Andy Sanborn were nearly tied for first place in the GOP primary. Both parties drew a large number of candidates — 11 people sought the Democratic nomination, including U.S. Sen. Bernie Sanders’s son, Levi, and seven ran in the Republican race. The district is considered a swing-voting one; while it has a Democratic representative in Congress, Donald Trump carried it in the 2016 presidential election. Pappas is currently a member of the New Hampshire Executive Council, an administrative body that assists the governor. He has the endorsement of the LGBTQ Victory Fund, which seeks to elect out candidates. Thirteen Victory Fund–endorsed candidates will be on the ballot for congressional seats in November — 11 for the House and two for the Senate. Currently there are six out LGBTQ House members and one out U.S. senator, Tammy Baldwin of Wisconsin.